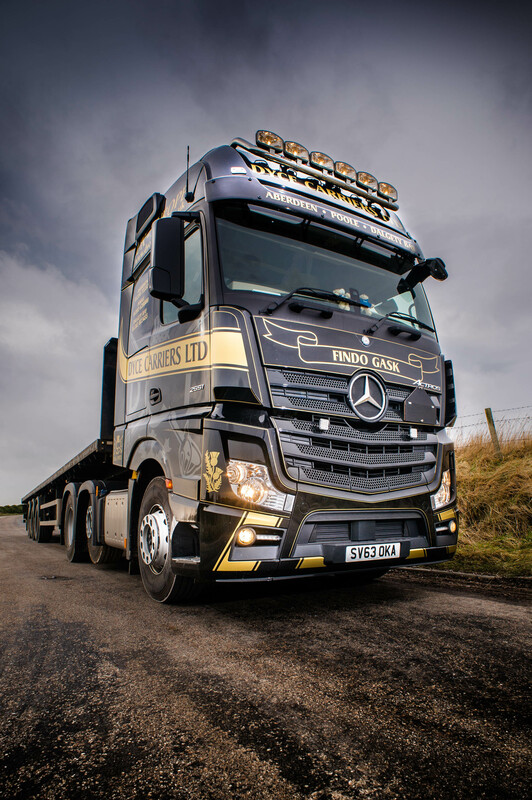 In a little over forty years we have grown to become a National Road Transport business with over 100 employees and a modern fleet of around 100 vehicles. Our head office is in Aberdeen, but we have depots in Invergordon, Dalgety Bay, Grangemouth and Poole. Today our fleet is regularly involved in trips to Ireland and continental Europe. We operate a daily trunk route linking the North of Scotland to the South of England: a far cry from our humble beginnings, which consisted of one Morris Minor van. The business was started by Dave and Jean Moir in 1973. It grew steadily. From the beginning there were two key points of focus: great customer service and operational reliability. Many businesses that grow to become large businesses start as modest, family businesses. 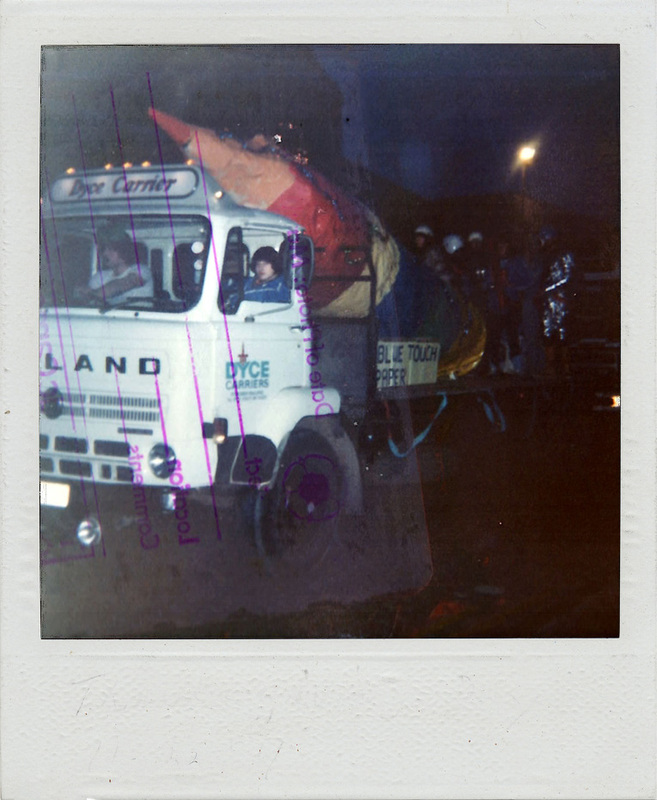 This is also the Dyce Carriers story. Family businesses work hard to build a “good name”. In modern business, marketers call that “a brand”. What started as common sense business based on family values has grown into how the business is run today. Those values still lie at the heart of our business. We are a flat organisation where everyone is an important part of the team regardless of their job title – part of the Dyce Carriers family. It’s common amongst businesses that originate in North East Scotland that humbleness is a key characteristic. This is quite true of the UK road transport industry too. Quiet acknowledgement of a job well done is usually the order of the day. So it can seem a little awkward to declare publically this sense of family that exists within the company. But it’s important to note that the values and work ethic shown by all those who worked hard to build the company over the years remain important in today’s business. It took a lot of effort from a lot of dedicated and capable people to build the company and the team we have today is doing a fine job of continuing that tradition. 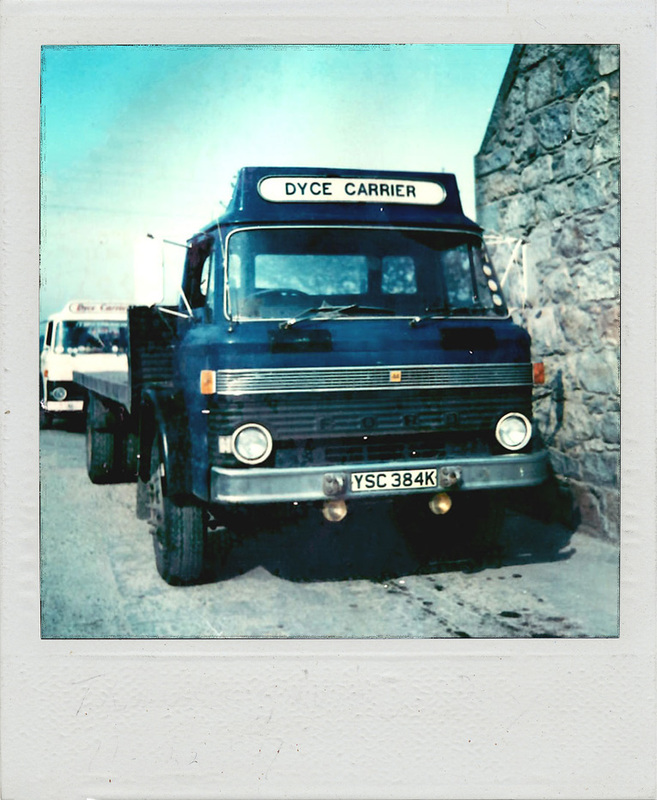 Now that Dyce Carriers is a substantial business it is important to the family that started the business that the things they believed in remain a driving force for everyone that joins the company and represents the brand. Our values have never changed but we had to learn how to articulate them so the larger team could “buy-in” to them. Safety: Safety is our number one priority. The safety of the public, of our customers, our people, our equipment, and our shipments are essential to everything we do. We have invested significantly in our commitment to safety and quality through BS5750, ISO9001 and ISO14001 and many other initiatives. 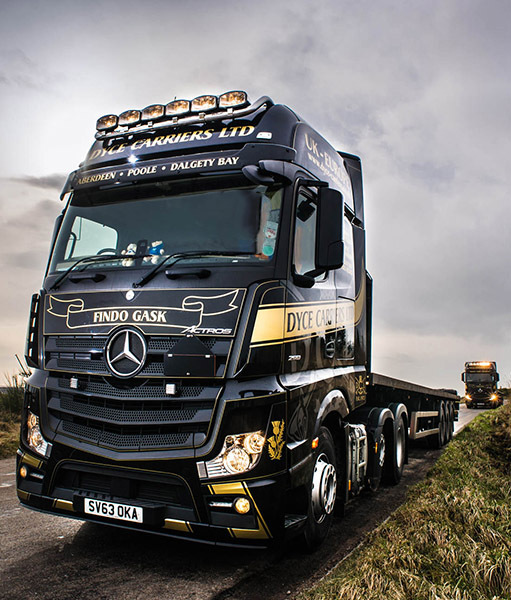 Operating and driving vehicles and particularly Heavy Goods Vehicles is a highly skilled task that demands the utmost respect – our focus is firmly on the safety of all involved and connected to our operations. 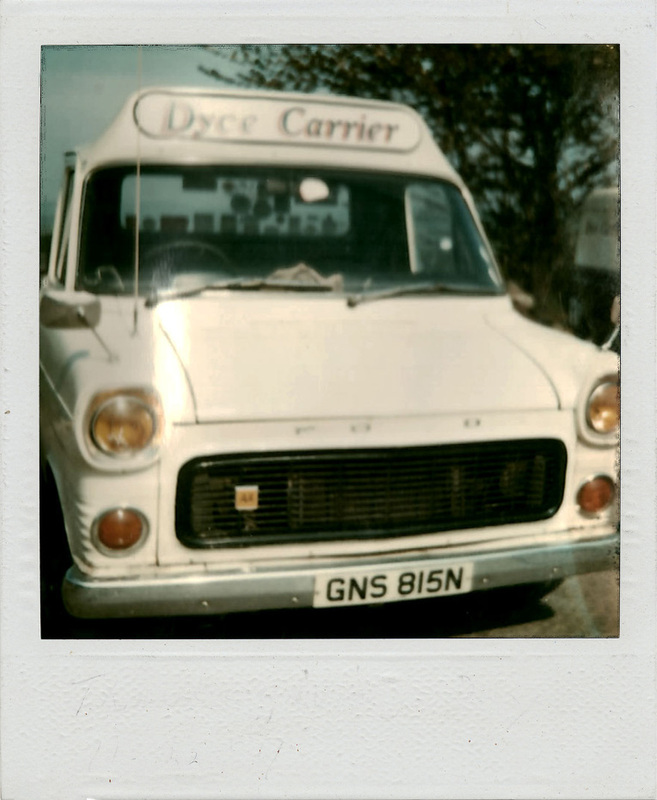 Family: We care about our people and want them to feel and be part of the Dyce Carriers family. We recognise that all of our staff are stake holders in a shared future. Reliability: Reliability in road haulage is essential. We and our customers have to rely on our equipment, our technology, our systems and our people, and we focus daily on delivering reliable solutions. Teamwork: We know that each member of the team has a role to play in building a great company and in building a sustainable future for our business and our people. Investment in Technology: We apply a constant programme of investment in our equipment, technology, and processes to ensure a safe, reliable and environmentally friendly service that builds a successful future for our team and their families.